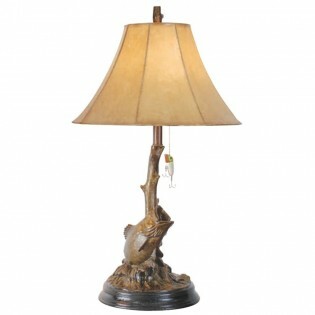 A fantastic choice for the bass fishing enthusiast is this Jumping Bass Lamp. The resin base features bass breaking water after the lure that is suspended from the socket switch. This lamp is finished in an antique bronze with a faux leather shade.